Did Google Just Out Android P’s Revamped Navigation Bar With Gesture Support? 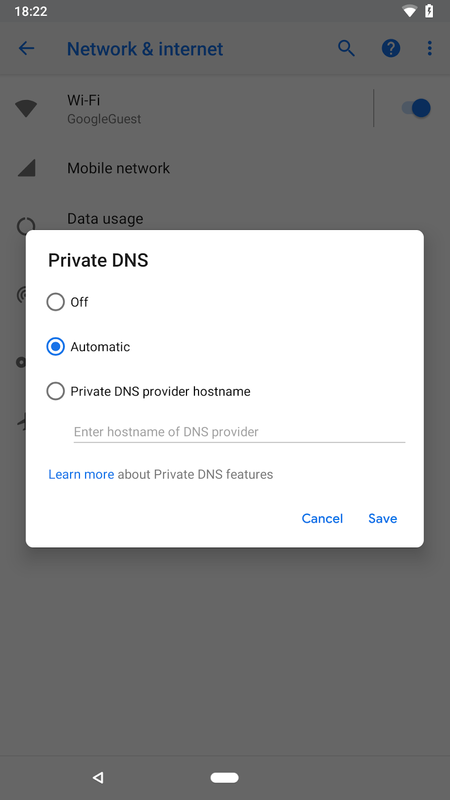 Google posted to the Android Developers Blog today a story about DNS over TLS support in Android P. It’s a fun story, if care about things like a built-in Private DNS mode. If you don’t, then you may be interested in another part of this story – the screenshot that was initially shared. Anything seem different to you in the image above or below? Yep, that’s a new navigation bar setup. Google has since pulled the screenshot and replaced it with an image that lacks a navigation bar, likely because they realized that they outed something early. We don’t know exactly what’s going on here, but that area in this screenshot shows a back button, along with a single pill-shaped icon. That could be a home button and it could also be a button that utilizes gestures. If it’s a gesture-based system, I’m envisioning a tap to go home or a swipe to get into or out of apps. Maybe Google has something else planned? Either way, there is no longer an app switcher button displayed on the right, something that has been there for years. And we know that Android OEMs are adopting gesture systems. Motorola imagery we revealed shows something similar, plus OnePlus is definitely going with gestures in the OnePlus 6 (this is how they work). Maybe this is Google realizing that they need to adjust the navigation system on Android to meet trends, just like they appear to be doing with notch support.